I wasn't quite sure what we were getting into until we got there and saw the water erupt with literally thousands of fish. Needless to say we got to put together a killer show! Of all the places I've shot this was by far the craziest thing I've ever seen. 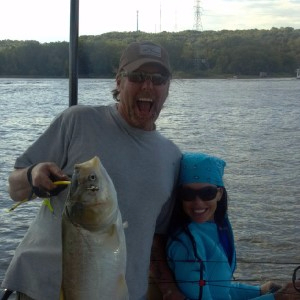 WE ARE A SPECIALIZED, US COAST GUARD LICENSED BOWFISHING GUIDE SERVICE AND CHARTER LOCATED IN PEORIA ILLINOIS. 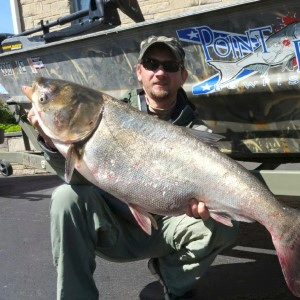 SINCE 2005, POINT BLANK HAS REMAINED THE PREMIERE CHOICE FOR ASIAN CARP BOWFISHING. DATES ARE FILLING FAST AND WE WOULD LOVE TO BOOK YOUR ADRENALINE CHARGED ADVENTURE.